The experience will start with fully paid-for travel and transfers to the Fisher’s Hotel in Pitlochry. 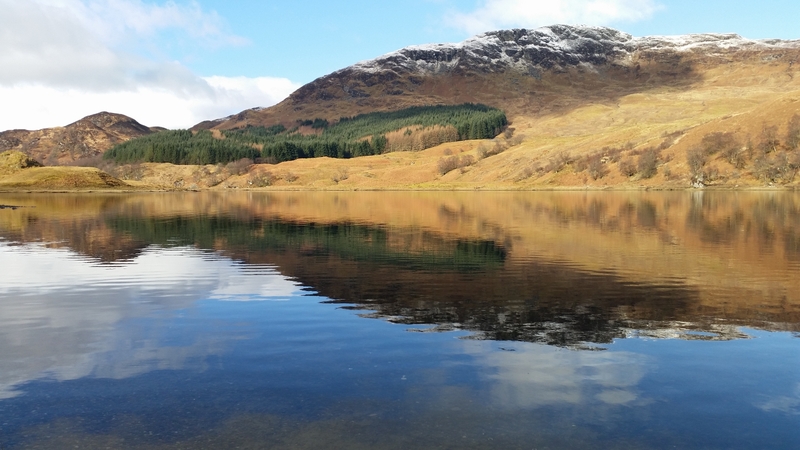 Following an overnight stay in the stylish and sumptuous hotel and a hearty breakfast, you’ll transfer to the Highland Safaris HQ in Aberfeldy, Perthshire. There you and your three guests will enjoy a full day of 4×4 driving with your very own kilted off-road driving expert. This exclusive Safari has been designed to enable you to tailor a driving day to your own requirements. Take the wheel yourself and put your off-roading skills to the test under the guidance of your safari ranger, or take advantage of their local knowledge and create a tour suited to your own interests. Personalising the day with a greater focus on nature spotting or a walking element isn’t a problem. Using a Land Rover similar to the one Joe Swash was driving, your safari ranger will help you explore nature at its most raw on a journey that could take you from valley floor to some of the most elevated areas in the UK. It’s terrain that is completely inaccessible unless you have either a specialist 4×4 vehicle with a fully qualified off-road driver, or a helicopter. The benefit of travelling by 4×4 is that you can absorb the incredible scenery. Touring private tracks traversing forests, mountains and moors that have remained largely unchanged for millennia, you will journey to an out-of-the-way area. There you could enjoy an easy paced wilderness walk that will enable you to get closer to nature. Armed with the binoculars and telescope provided, you might see the majestic red deer, elusive mountain hare, soaring red eagle or the famous grouse. And talking of whisky, your day will include a picnic in a mountain bothy at 2,000 feet. Complete with a picnic of home-made soup, filled rolls, crisps, fruit, tea, coffee – all washed down with a dram of Dewars Malt Whisky. Inspired by the day’s events, you’ll be able to relive your exploits over dinner for your second night at the Fisher’s Hotel. Breakfast the following day is included in the prize, as are transport and transfers home. Entry is open to residents of England, Scotland, Wales and Northern Ireland aged 18 years or over. Proof of age may be required. Employees (or family members of employees) of the Promoter or Administrator, companies associated with the prize draw and all affiliates of such companies may not enter the prize draw. Entrance into the prize draw will open on Wednesday 20th April at 09:00 (GMT) and close on Friday 29th April at 23.59 (GMT). To enter you must retweet our ‘RT to win’ tweet and be following @GreenFlagUK. Entries must be received by Friday 29th at 23.59 (GMT) on the closing date of the prize draw. Each entrant can submit a maximum of one entry and no purchase is necessary. One winner will be randomly selected for the prize draw from all valid and complete entries. The prize draw winners will be selected within seven working days of the end of the prize draw promotional period. Winners will be randomly drawn in a prize draw from all valid entries according to the requirements as described above, and will be drawn by the Promoter in the presence of an Independent Adjudicator. The decision is final and no correspondence will be entered into. Winners will be notified via a tweet on their entry within 10 working days of the closure of the prize draw. If the winner of the prize draw cannot be contacted within a reasonable time a new winner will be selected from the remaining entries. In the event of any dispute, the decision of the Promoter is final. In the event of unforeseen circumstances the Promoter reserves the right to substitute the prize for an alternative of equal or greater value. No correspondence will be entered into. The winner will receive a unique Scottish experience for four in Scotland. 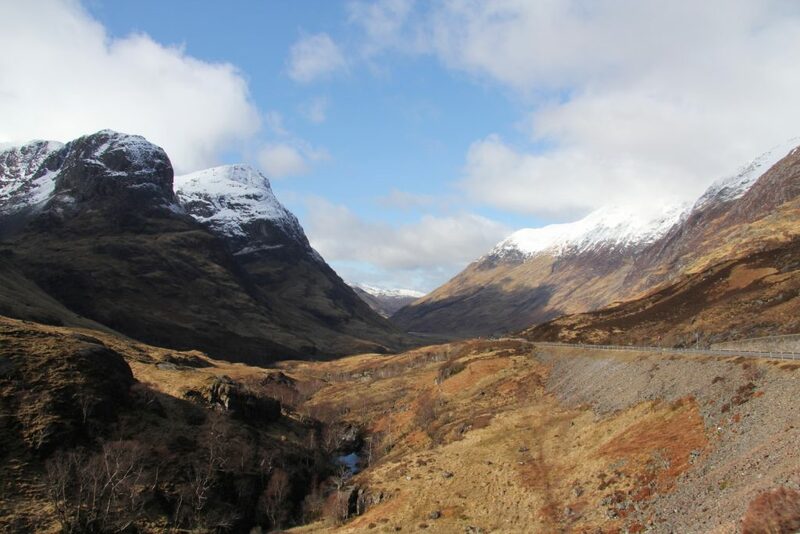 The prize includes: a day at Highland Safaris for a 4×4 experience, two-night stay at The Fisher’s Hotel, all meals included and transportation to Scotland including transfers. The prize is not transferable. The prize must be taken as stated and no compensation will be payable if the winner is unable to use the prizes as stated. Entries not submitted in accordance with these rules will be disqualified and the Promoter shall not be responsible for any such entries received. Bulk entries made from trade, consumer groups or third parties will not be accepted. Incomplete or illegible entries, by or via third parties or syndicates, entries by macros or other automated means (including systems which can be programmed to enter), and entries which do not satisfy the requirements of these terms and conditions in full will be disqualified and will not be counted. If it becomes apparent that a participant is using a computer(s) to circumvent this condition by, for example, the use of ‘script’, ‘brute force’, masking their identity by manipulating IP addresses, using identities other than their own or any other automated means in order to increase that participant’s entries into the prize draw in a way that is not consistent with the spirit of the promotion, that person’s entries will be disqualified and any prize award will be void. The Promoter reserves the right to alter, amend or foreclose the prize draw without prior notice. As far as permitted by law the Promoter excludes all liability in connection with the prize or prize draw. By entering this prize draw you consent to the Promoter’s and its agents’ use of your personal data for the purposes of administering this prize draw. This prize draw is in no way sponsored, endorsed or administered by, or associated with, Twitter. You are providing your information to the Promoter, not to Twitter. The information you provide will only be used for this prize draw. By entering this prize draw, you agree to a complete liability release for Twitter. These terms and conditions shall be governed by and construed in accordance with the laws of England and Wales and the courts of England shall have exclusive jurisdiction in relation to any disputes arising. The Promoter is UK Insurance Limited, trading as Green Flag Motoring Assistance, registered office: The Wharf, Neville Street, Leeds LS1 4AZ Registered in England and Wales, Reference Number 1179980. Smoking is not permitted in any of our vehicles or in the Safari Lodge. Unfortunately dogs are not permitted in our vehicles however there is a shaded area in the car park for dog owners and dogs are welcome at our Safari Lodge. We welcome children of all ages on our Safaris, for advice on which safari would be most suitable for your family, please contact us. Safaris will take place in all weather deemed safe in the opinion of the directors of the Company. The Company reserves the right to alter routes should this be necessary in order to provide the best service possible in the given conditions. The above cancellation policy applies for Safaris cancelled by customers due to weather conditions. Sturdy footwear and suitable outdoor clothing must be worn. The Company reserves the rights to refuse participation to customers who dressed inappropriately with inappropriate footwear. The Company reserve the right to refuse participation to clients they believe are under the influence of alcohol or drugs, in such circumstances no refunds shall be given. The Company reserves the right to refuse participation to any Customer whose conduct or manner is likely to cause offence or upset to other passengers. In such cases full cancellation charges apply and the Company shall have no further liability to that passenger. The company will do everything in their power to ensure every customer has a thoroughly enjoyable experience. If any customer is dissatisfied with any part of the experience provided, the exact reasons for their feelings must be detailed in writing and given to the company. This document will then be taken into consideration by the Company who will ensure a satisfactory outcome is reached for both parties. Interesting competition albeit badly targeted as you assume that your customers who have an email address are ALL foolish enough to be ‘tweeters’ despite most proving by sensibly being customers of Green Flag that they are not TWITS!